City Network, a leading global public cloud provider, and G+D Mobile Security, a global mobile security technology company and part of the Giesecke+Devrient (G+D) group,today announced a partnership. G+D Mobile Security will leverage City Network’s open stack-based Compliant Cloud as an infrastructure for the development and delivery of its SaaS cloud services to its customers. “An open source and cloud-based infrastructure with high security is an important part of our business proposition. City Network’s “City Cloud” gives us a flexible infrastructure, thus enabling us to increase the speed in delivery of our services to our customers while maintaining the high level of security that is vital for our business,” said Håcan Tiwemark, Head of Professional Services at G+D Mobile Security. City Network successfully underwent a thorough security evaluation and regulatory assessment by G+D. As a native European-based provider of cloud services, City Network will become an important part of G+D’s multi-cloud strategy, its products and services will run from City Network’s compliant cloud in the European Union, starting with two City Cloud sites in Sweden and Germany. The agreement also includes the joint development of specific services for G+D Mobile Security as well as the option to use the public version of City Cloud for certain projects. 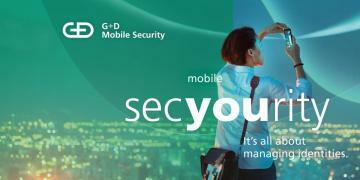 “With its focus on securing and managing digital identities, G+D Mobile Security is positioned in the center of enabling the digital transformation for a large number of industries. Since security is in the very heart of their business, partnering with us for a long-term development of their flexible IT infrastructure and their choice of our compliant cloud solution is the best proof point we can get,” said Johan Christenson, CEO and founder of City Network.